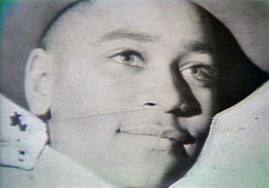 The Emmett Till Foundation today kicks off a weekend of observances commemorating the 55th anniversary of his murder with its "A Time of Reflection and Remembrance" gala. On Saturday, the foundation will launch the "Never Again" campaign against social injustice, which continues the positive activist message of Till's late mother, Mamie Till Mobley. Emmett Till's story has been defined by justice denied and justice delayed. But there is now an effort to mark a new and more hopeful chapter in the story of the Chicago teen whose savage killing galvanized the civil rights movement.I met an anthropologist from a well-known Midwestern university who had never heard of Till. After telling her the story, she was deeply concerned that neither she or her students knew about Till. This prompted her husband, store owner Roy Bryant, and his half-brother, J.W. Milam, to abduct, beat and shoot Till and throw his body in a river. An open-casket funeral and news pictures of his disfigured face caused worldwide news coverage of the case, in which an all-white jury acquitted the killers. After the trial, the two men, now immune from further prosecution, confessed the killing to the magazine Look.